Street art and graffiti are going to be all over town again this year in the fairs and galleries and, of course, on the walls of Wynwood. The Miami neighborhood has been filled with incredible murals by international artists since 2007 when Primary Flight invited 35 artists to paint on strategically located walls. 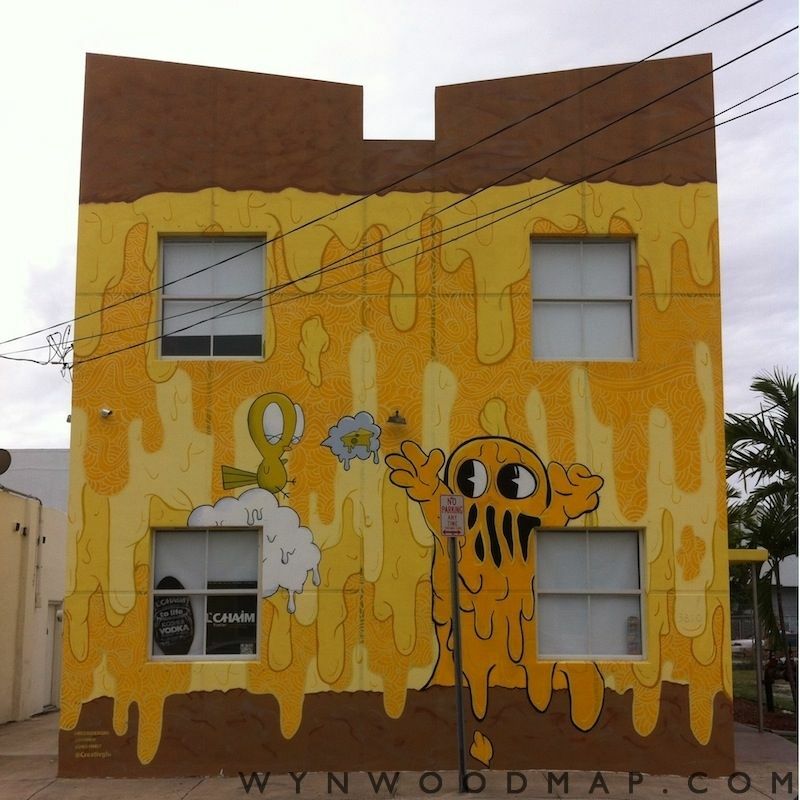 By 2009, the late Tony Goldman joined the party with his "Wynwood Walls" project centered around 25th and 26th Streets. The whole Wynwood Arts District has grown so large that it is hard to keep track of all the incredible works, but now there's a great interactive map that shows who painted what, plus there's a photo of each piece. Check it out here. Cool underground art magazine Juxtapoz -- they've covered the scene for two decades -- is moving into a private beach house at the Shore Club (1901 Collins Avenue, South Beach) for a four-day series of parties and events with San Francisco's Chandran Gallery. 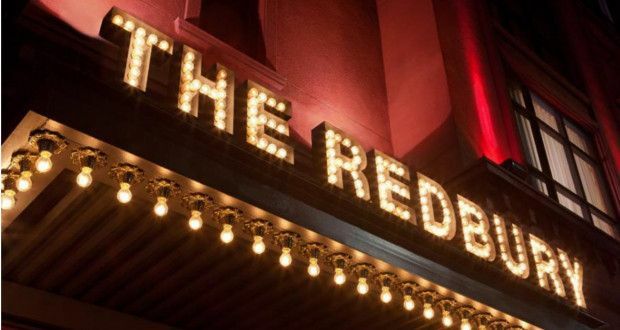 They've scheduled art installations by Geoff McFetridge, Andrew Shoultz, Monica Canilao and SWOON, brunches, BBQs, performances and DJs and there's even an evening hosted by Shepard Fairey. The spot will be happening from December 4 until the 7th, but many of the parties are invite only. 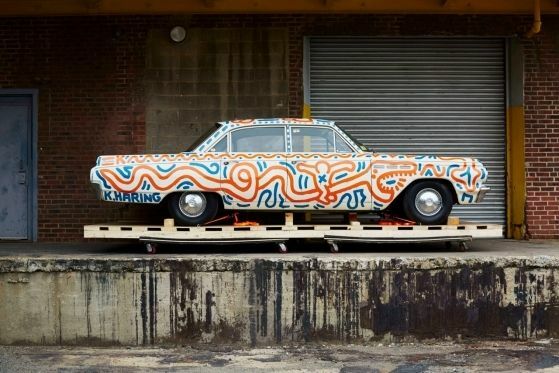 Art cars and luxury cars are another big theme this year, with an exhibition, "Piston Head," of 14 cars transformed into art since 1970 happening on the top floor of the Herzog & de Meuron-designed parking garage at 111 Lincoln Road in South Beach, sponsored by Ferrari. And Maserati will be celebrating the debut of its new Ghibli, and they're driving VIPs and collectors around all during the week, plus sponsoring a VIP lounge in the new Perez Art Museum Miami (PAMM) and another lounge at Art Miami. Yo, we're arriving on the 2nd, so pick us up at MIA. The official program of AB/MB 2013 artist conversations and talks are happening daily in the Hall C auditorium of the Convention Center. Highlights include Doug Aitken, the creator of the "Station To Station" train project, on December 5; Olafur Eliasson on the 5th from 3 to 4 p.m. and Tracey Emin on the same day from 6 to 7 p.m.; John Baldessari on the 7th from 3 to 4 p.m. and, our fave, a talk called "The Bar as An Oasis" with Naomi Fisher, Jim Drain and more on the 8th from 2 to 3 p.m. The complete list is here. 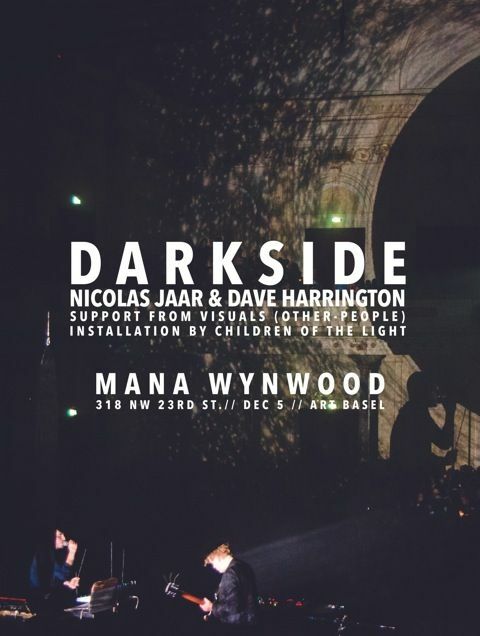 Flaunt magazine, 3P Productions and Mana Wynwood (Mana is a big film and photo production studio in Miami related to Milk Studios and Moishes Moving) are hosting a three-day music series that launches on December 5th with the Nicolas Jaar and Dave Harrington supergroup Darkside and an art installation by Children of the Light. The huge space is located at 318 NW 23rd Street in Miami and tickets plus more info are here. 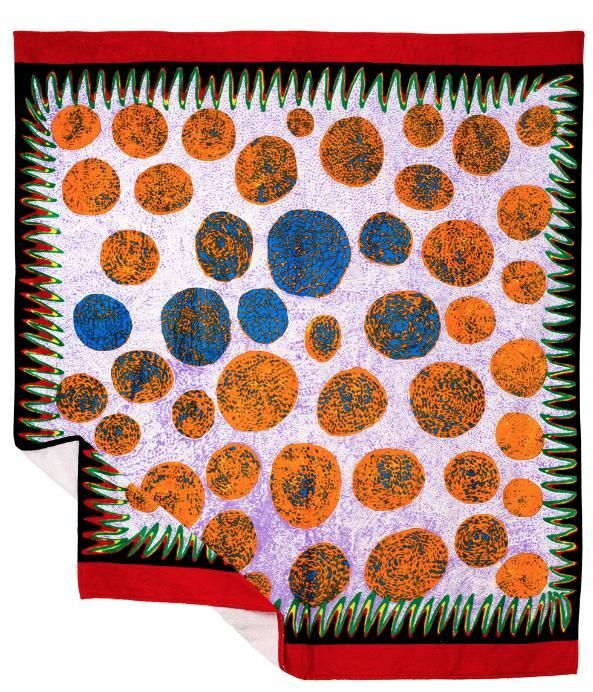 The Art Production Fund announced that Ryan McGinley and Yayoi Kusama have designed this year's beach towels and that the towels will be available for purchase during AB/MB in the Standard Shop (40 Island Avenue, Miami Beach) at the Standard Hotel in Miami. 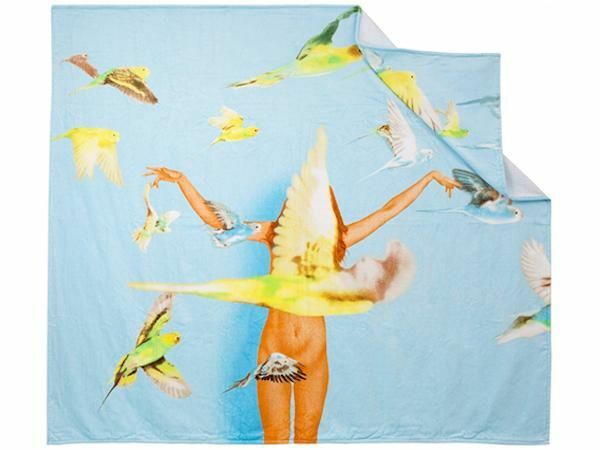 They've producing the series of towels since 2007 with artists including John Baldessari, Cecily Brown and Yoko Ono; with the money raised going toward the non-profit org's various projects. 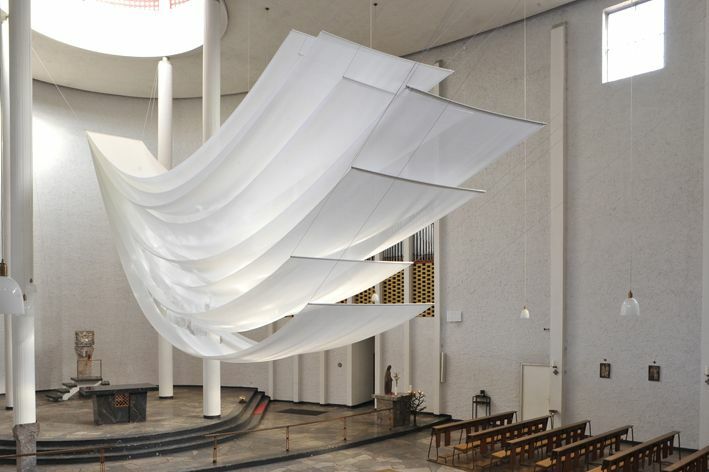 A giant floating, fabric sculpture by the German artist Angela Glajcar called "Light and Paper" will be on view in the lobby of the Ritz-Carlton (One Lincoln Road, South Beach). 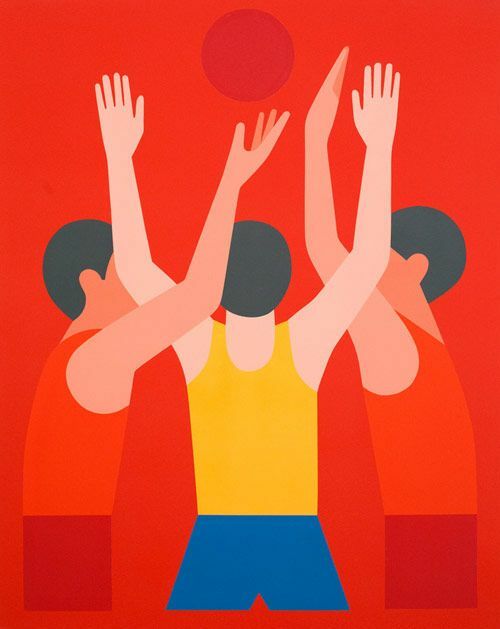 While you're there, check out the hotel's collection of contemporary Latin American and European works on loan from Miami's Diana Lowenstein Gallery. 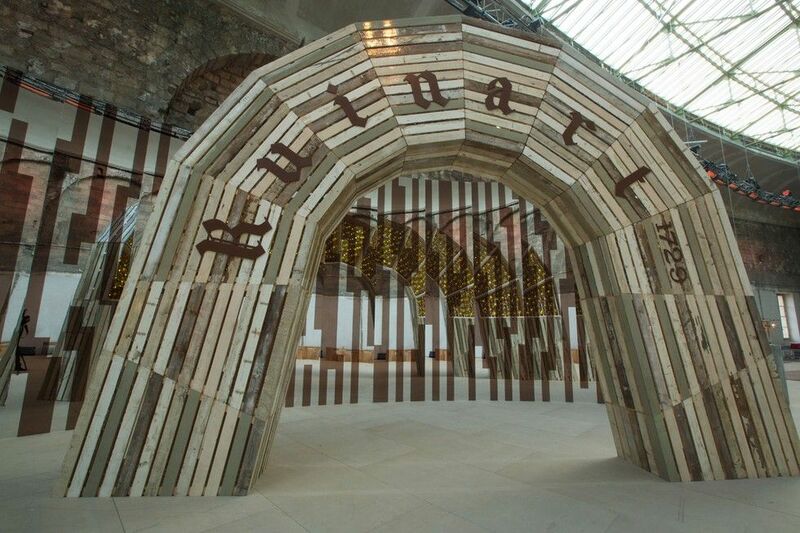 Dutch designer Piet Hein Eek will create a large-scale installation using recycled wood and champagne boxes provided by Ruinart Champagne. The work will be on view all week in the AB/MB Art Collector's Lounge. Red Bull's "Canvas Cooler Project" is now on a national tour and will be on view at SCOPE's Miami pavilion all week. You're invited to choose one lucky artist to join the exhibit by casting your vote here. Seven artists including Daniel Arsham and Wim Delvoye are designing limited-edition yoga mats for classes at the Delano, Mondrian and Shore Club hotels. New York gallery The Hole is having their big, Basel blow-out at the Shore Club (1901 Collins Avenue, Miami Beach) on December 4th and the Delano hosts their third MoMA PS1 pool party on December 6th. 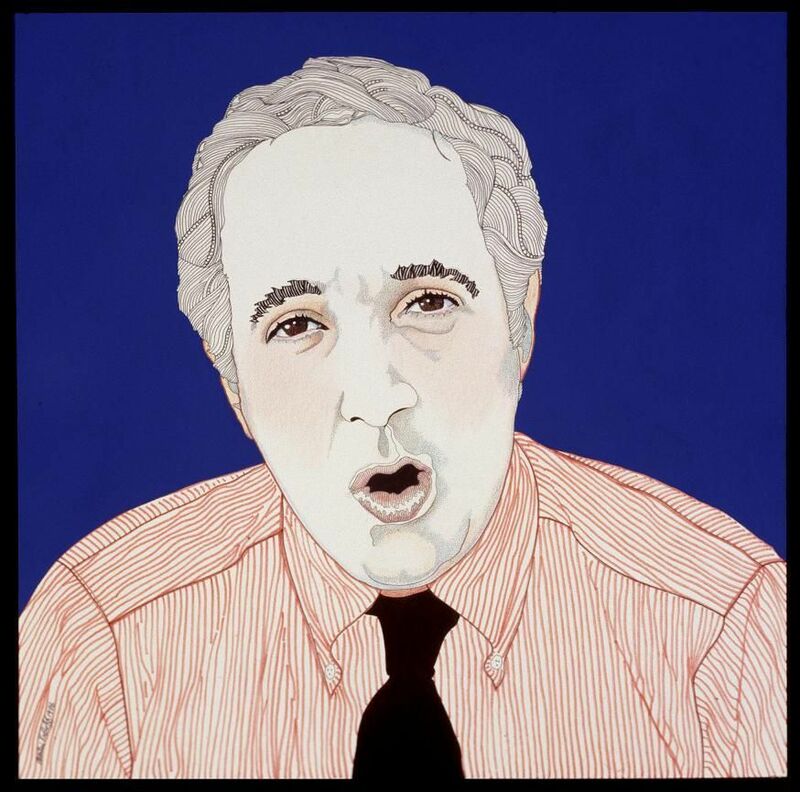 The Mayfair Hotel (3000 Florida Avenue, Coconut Grove) is hosting "Miami Says Art II" with Martin Kreloff's series of portraits of some of Miami's art pioneers (see Arnold Lehman above). There's also an installation called "Art Euphoria" that Kreloff put together with Miami artist Gustavo Oviedo. It's all on view December 2nd to the 8th, from 10 a.m. to 8 p.m. daily and admission is free. Richie Hawtin spins at Story nightclub (136 Collins Avenue, South Beach) on Friday, December 6; RJD2 is at Bardot (3456 North Miami Avenue, Miami) on December 4; Alabama Shakes are playing the Fillmore (aka Jackie Gleason Theater) in the Convention Center also on the 4th; Luciano and Pete Tong spin at LIV in the Fontainbleau Hotel (4441 Collins Avenue, Miami Beach) on the 5th and Steve Angello is playing on the 7th, also at LIV. The annual Jack Shainman Gallery (cocktail party is on Friday, December 6, at the South Seas Hotel (1751 Collins Avenue, South Beach). Invite only. A branch of L.A.'s Redbury Hotel is opening on December 1 at 1776 Collins Avenue, South Beach, with an Italian restaurant called Lorenzo featuring Chef Tony Mantuano. The first East Coast branch of Billionaire Italian Couture is opening on December 3rd in Miami's Design District.